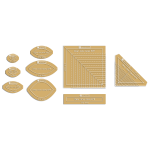 Don't want to buy each individual package separately? Save time and get them all at once! This also gives you a savings of $ 35 by buying them in this collection. 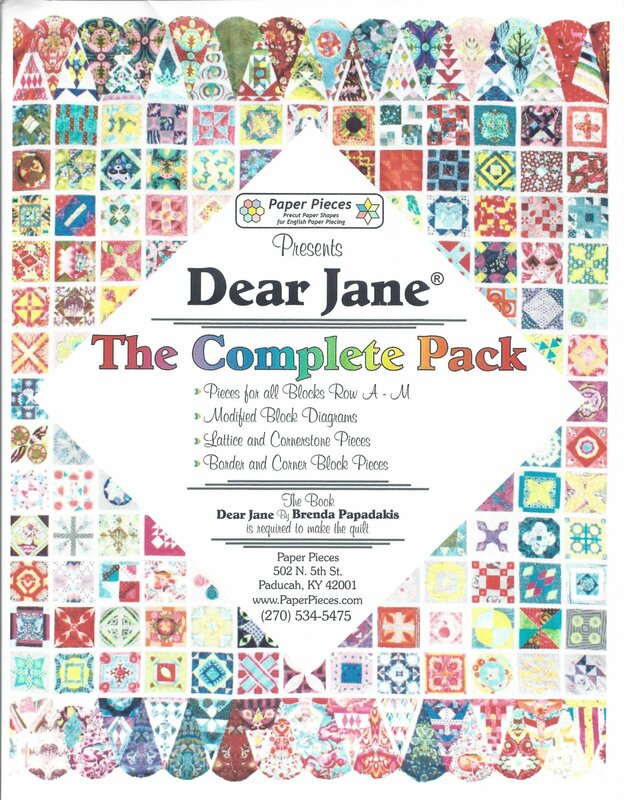 Includes EPP paper packs for Rows A - M, all 4 Borders, and the Border Corners of the Dear Jane quilt (18 individually packaged sets). Packaged by Paper Pieces. The book Dear Jane by Brenda Papadakis is required to make this quilt and is available in our store. Poole's Preference: Doing Dear Jane using English paper piecing has been so motivating. I was actually afraid to start doing Dear Jane using my machine because the pieces were so small, and I knew my 1/4" was not exactly perfect. That, coupled with movement of feed dogs, had me very worried about the accuracy of a 4.5" block with multiple pieces. EPP allows you to be more accurate with a lot less stress. Take it anywhere with you in a convenient pack, or sit at home in a comfortable chair and relax as you piece these beautiful blocks together. Instructional videos on my YouTube channel - Poole's Piecing.